Metal and wood come together in this cocktail table with an industrial edge. Arched metal details and a slatted metal shelf stay true to the manufactured look of this group. A rustic brown finish covers the wood top of this coffee table. 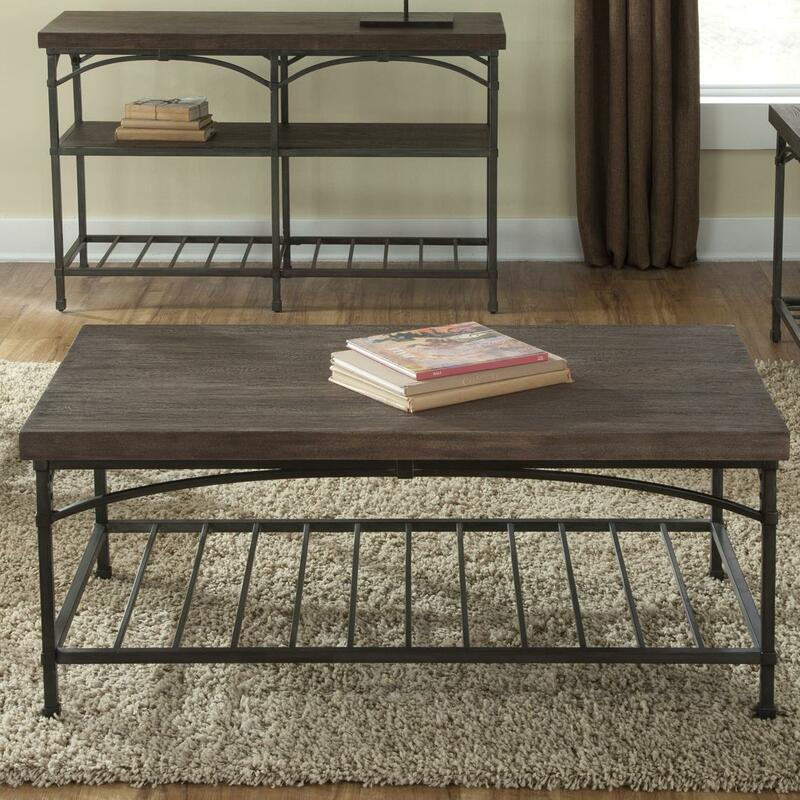 A rough juxtaposition of metal, wood, and simple design give this accent table a tough appeal. The Franklin Cocktail Table with Metal Base by Liberty Furniture at Furniture Fair - North Carolina in the Jacksonville, Greenville, Goldsboro, New Bern, Rocky Mount, Wilmington NC area. Product availability may vary. Contact us for the most current availability on this product.